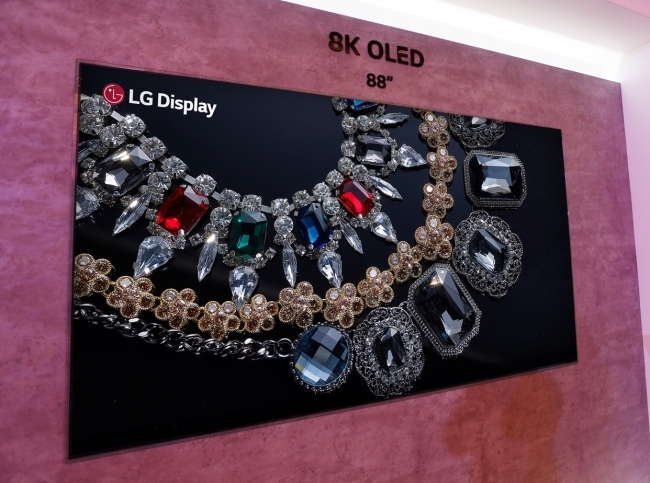 LG Display, the world’s No. 1 organic light-emitting diode panel maker, said Wednesday it achieved the first surplus from selling OLED panels since 2013 for the August-October period this year. According to its third-quarter earnings report, the panel maker recorded 6.1 trillion won ($5.39 billion) in sales and 140.1 billion won in operating profit. Owing to increases in prices of liquid crystal display panels, the sales rose 9 percent compared to the previous quarter, and operating profit swung into the black because of favorable foreign exchange rates and sales of OLED TVs, the company said. The OLED business achieved the first surplus in five years as sales volume of OLED TVs surpassed 1.7 million in 2017.